The change of the whole society is closely related to the development of the Internet. It also has some impact on the development history of the villa industry in the past thirty years. The villa door industry is the early traditional industry, and how to break through the existing development way under the Internet environment? What influence will there be in the cross - business of enterprise E - commerce? The interaction between mobile Internet, material alliance and traditional IOT has already collided with the Internet. The market potential of e-commerce can not be ignored. The electricity supplier has a positive effect on the development of villas and widens the sales channels. But all things have two sides, before stepping into the Internet field, do a good job of research, small steps, the overall service system is not mature conditions, it is necessary to consider whether the e-commerce is not. In order to achieve more desirable development, we should do a good job in market research, recognize the electricity supplier mode, understand the needs of consumers, and implement targeted electricity providers. At present, both the traditional home business and the vertical business platform, which have already begun to take shape in the home industry, need a completely new transformation of marketing mode. Among them, in 2015, Fu Xuan doors and windows successfully built their own shopping mall - Happy Cat mall. The e-business customer experience is the key point. The marketing structure of the enterprise website construction will have a big adjustment. Facing the challenges brought by the rapid development of information technology in the big data age, the villa door industry needs planning direction. We can not unilaterally develop the traditional Internet and offline marketing mode, but develop the whole network marketing. In the future, the villa industry will integrate multiple resources, and fully cover the "Internet marketing mode" of mobile Internet and traditional Internet and offline Internet of things. In this process, the ability to test many aspects will be the theme of the transformation of villa industry. Although the development momentum of e-commerce model is strong, the villa door industry needs to do a good job of investigation and research before marching into the Internet. 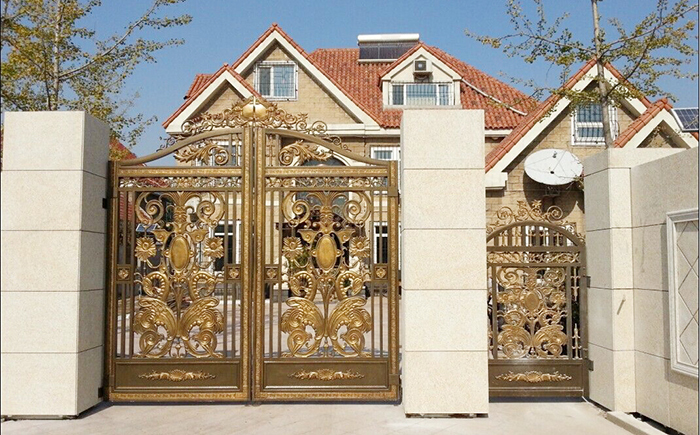 It is more important to find the direction and degree suitable for the development of the villa door industry. 上一页：How does the villa gate enterprise carry out the channel construction?